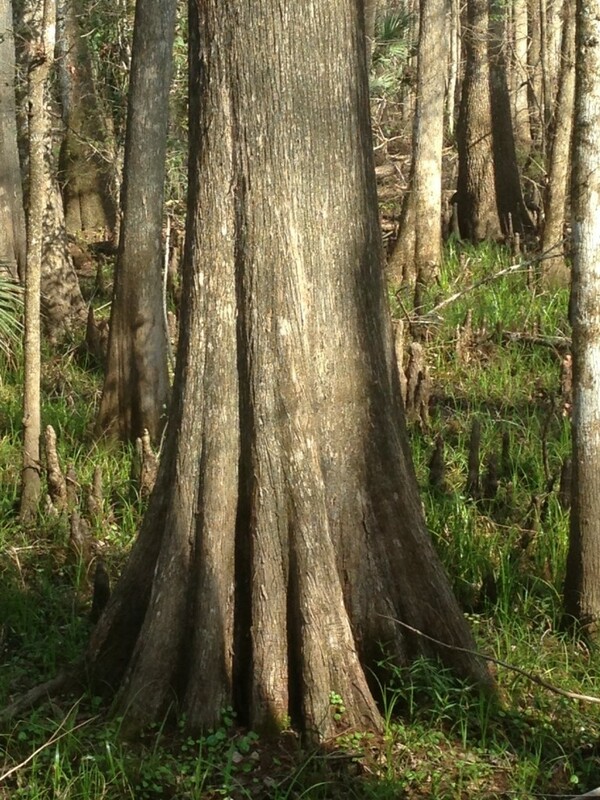 Bald Cypress, buttressed at bottom with grey bark and shallow,vertical fissures, peeling in spots. Often growing in or near water, with ‘knees’. Photographed on Monday January 28th, 2013 in the Lower Suwannee National Wildlife Refuge.